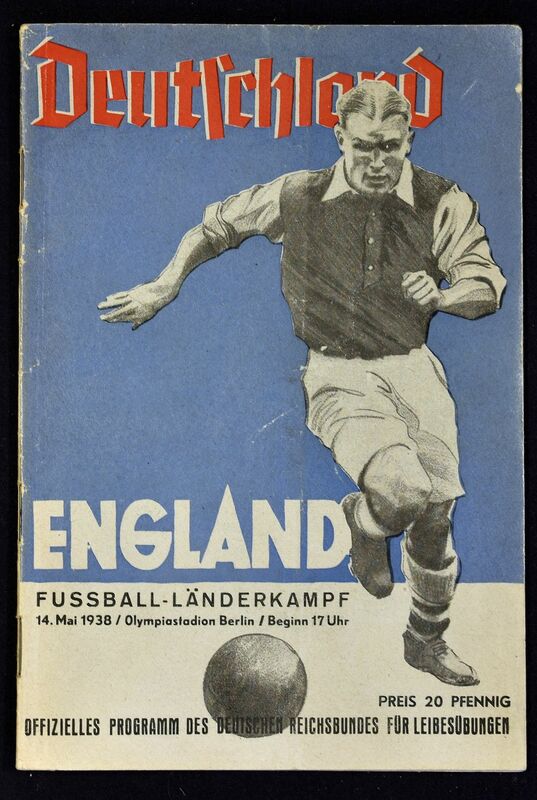 1938 Germany v England international match programme at the Olympic Stadium, Berlin dated 14 May 1938. 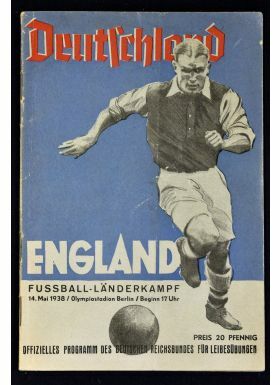 Famous match in those troubled days just before the war broke out with the England players being instructed to give the ‘Nazi’ sign in the political view it was an indication of respect. Slight crease.